Sensation Seeds are top of the line and endorsed by Dutch-Green for their high quality standards. Detailed specifications are available below in the description. 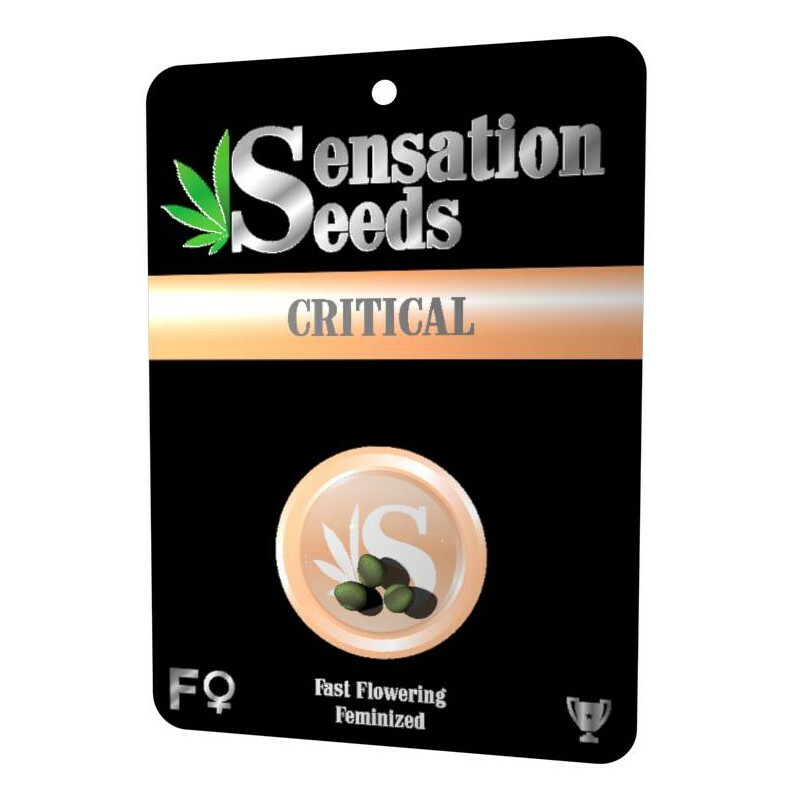 There are always various requirements to fill when making the decision of which strain to grow; yield, strength, ease of growth, climate sustainability, and flavor among others. This is one marijuana plant which makes an effort to combine all of these features in perfect balance so as to create the ultimate cash crop; short flowering period, large yield and good smoke. Cultivation can be done with ease by growers of any level which makes it a great choice for commercial purposes. 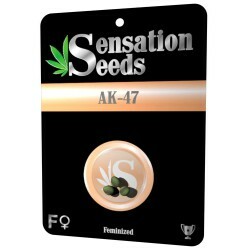 This fast growing strain produces a large yield of dense, remarkably resinous flowers with an intense aroma of citrus and skunk. It features a lemon-lime flavor which is delicious. Critical is a great mood booster and provides users a creative and pleasant head high alongside a deeply relaxing body buzz. If planted indoors, it will get to an average of 70-75 grams and can hit 6oo grams per square meter with ease under a light of 600w. 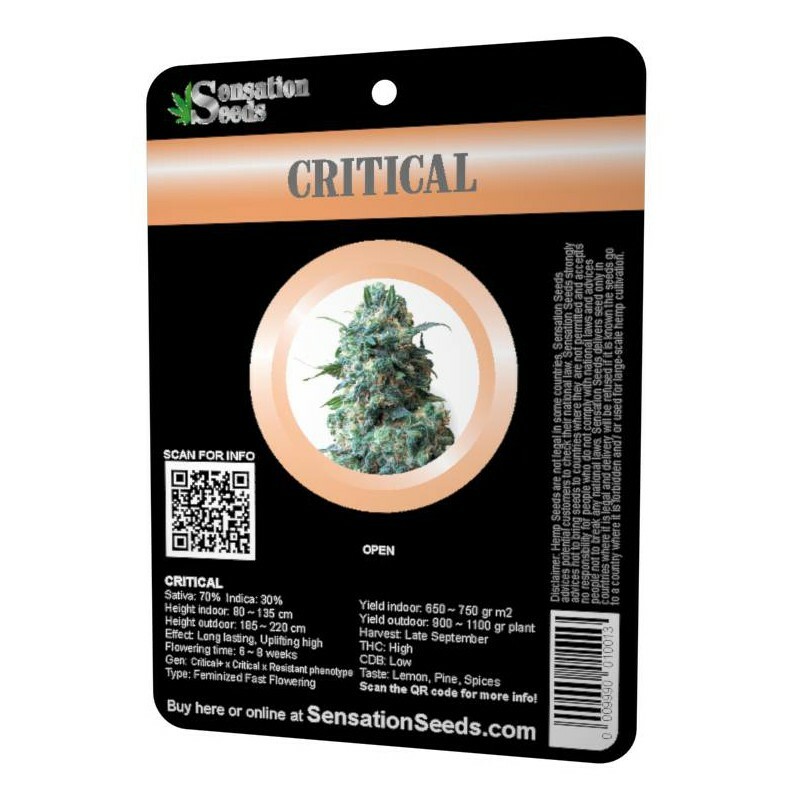 Critical prefers a warmer climate like Italy, Spain or California and in the appropriate conditions will produce more than 100 grams per plant. Because of its relatively short flowering time, it can be grown in latitudes which are more northern like the Netherlands and UK. Nonetheless; she won't get to her full potential like she would indoors. 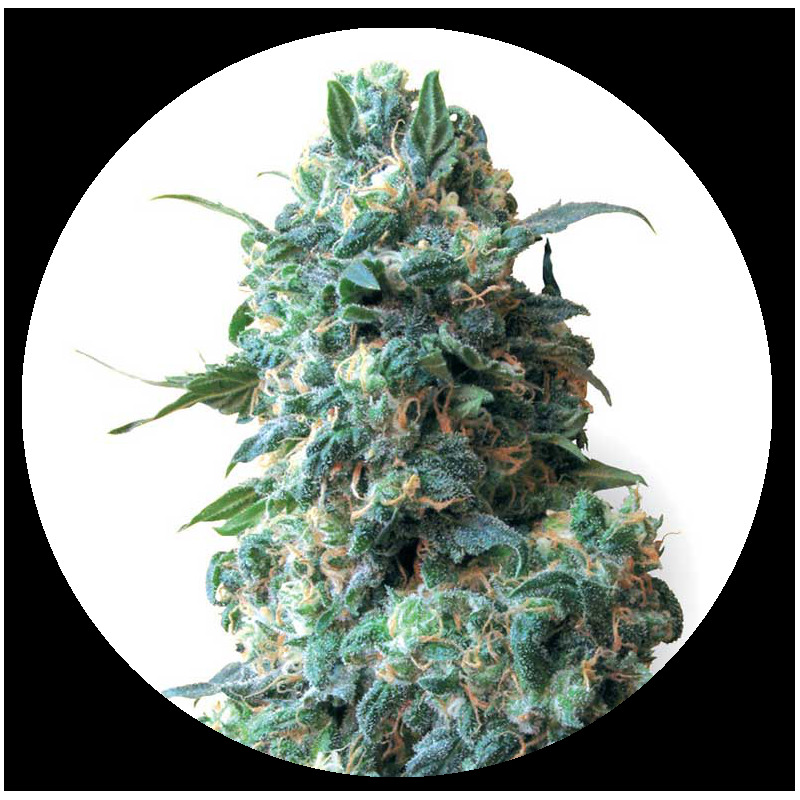 Our Critical plant has a genetic of Indica dominant which is noticeable in its little size, staying under 1 meter tall, it has short internode spacing and will be filled with buds eventually, ensuring it becomes the high-yielding specimen it is. Its little height also ensures it is great for those in search of smaller places to grow or growers who are more discreet.